Bernie Sanders doing the MidWest/Rust Belt in the spring of 2019…. The Washington Post does a piece on Bernie Sanders doing a early 2019 Democratic Presidential primary trip thru the nations’ MidWest…. A non-Democrat looking for Democratic votes in Trump country…. The streets of downtown Gary were mostly empty except for Bernie Sanders, a camera crew, and a whole lot of reporters. The senator from Vermont, joined by local police and elected officials, walked half a mile through the blighted downtown of a city that has become synonymous with Midwestern industrial decline. A campaign team trotted backward, cameras rolling, as Sanders learned some grim local history. When he arrived at the city’s Genesis Center, he asked the Hoosiers gathered around a table what they were concerned about, then began to explain how their government had failed them. Rather than tailoring his remarks to Gary, Sanders was giving his stump speech; the assumption was that it was exactly what a struggling and forgotten city needed to hear. The candidate’s commitment to “the message” — not “a message,” but the outlook he’s been sharing for more than 30 years — is unlike anything offered in the 18-candidate Democratic presidential field. 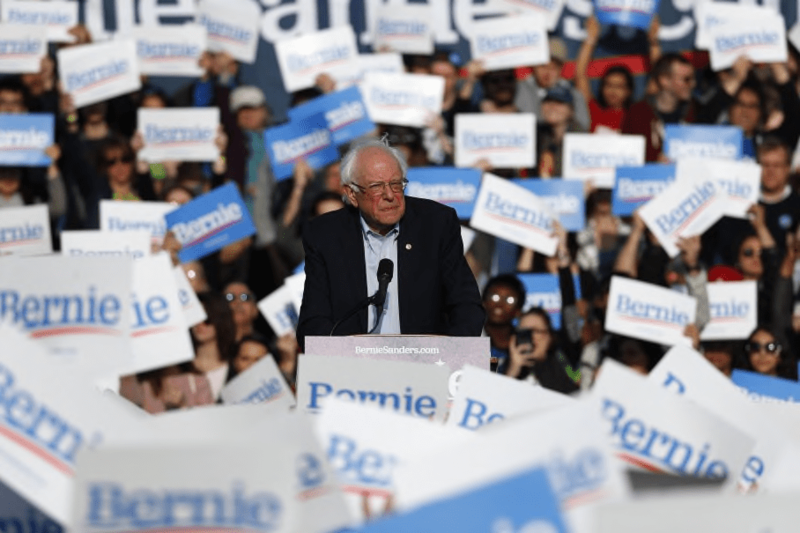 Sanders’s four-day swing through five Midwestern states was designed to demonstrate why that message is the one that can defeat President Trump in 2020…..